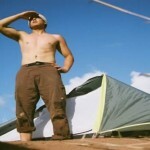 Different Types Of Camping | Best Camping Advice and Best Camping Tips. For families, there are few opportunities that bond you together quite like a camping trip. When driving out into the woods or wilderness, you are temporarily extracting yourself from everyday life and replacing it with an unforgettable trip filled with wildlife, fishing, hiking, swimming, boating, and anything else you might think to do in the great outdoors. Camping together as a family gives you the chance to learn, grow, and communicate together all while having a great time. 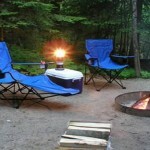 There are different types of camping trips that you can take advantage of. First, there is the day hiking trip that has become increasingly popular for all ages of campers. This type of camping is physical and challenging but very rewarding along the way and when completed. Anyone who is capable of walking long distances can be included, and it is a great way for an entire family to get some exercise together. This is truly a sport that can be done almost anywhere you find a clear hiking trail with, perhaps, a few swimming or fishing holes along the way. If you prefer an extended camping trip, you may want to consider RV camping. Recreational vehicles and campers give you the benefit of traveling the country whenever you want, and stopping at different camp sites along the way. You simply hook up your RV at an RV campsite, and you are set to sleep, cook, and even shower inside your comfortable “home on wheels.” Many RV’s have amenities that your own home includes, such as heaters, stoves, beds, toilets, and refrigerators. It is almost like driving a hotel room around the country. You don’t need to spend a lot of money to buy one since they can be rented at RV shops around the country. Then of, course you, there is the backpacking trip. 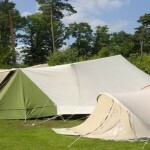 This is camping at its best, and one of the most exciting ways to experience wildlife and nature. In this setting, you are braving the elements and almost completely removed from the “real world,” allowing yourself the time and space to enjoy your family apart from life’s normal interruptions. By exploring on foot, you choose when you stop, where you pitch your tent, and how much fun you have. With only your family and their backpacks, you need to make sure you carry all essential supplies; the list of needs depends how far and how long you will be going. It really is like getting back to the basics when it comes to backpacking. 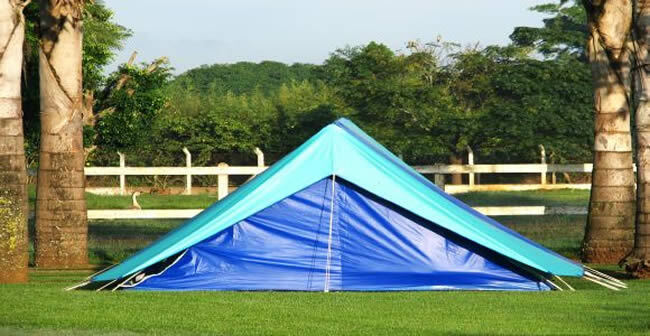 Finally, you have tent camping. You can locate innumerable campsites that allow tents and have special areas for campers who plan to live off the land, so to speak. This is a perfect type of camping for families because children love to experience nature while living outdoors for the duration of your trip. 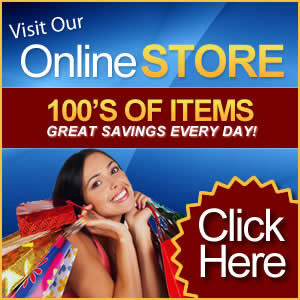 It is rugged and inexpensive and affords families a low-budget option for a memorable vacation. Any camping trip that brings a family closer and explores the wonders of creation is certainly a compelling way to have a great time together.